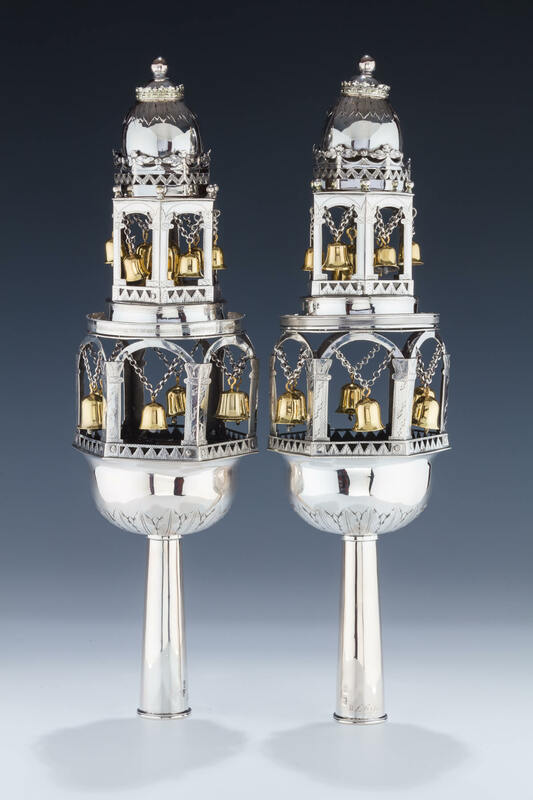 AN EXCEPTIONALLY LARGE PAIR OF SILVER TORAH FINIALS. German or Prussian, c. 1790. On long staves. The main body in architectural form comprised of two levels, each with six sections. Each section has a suspended gilded bell. The upper portion decorated with a bell. 17” tall.